Raw Røros is Participating in the sustainable tourism conference in Røros. Inspiring listening to people like Justin Francis putting content into the word.. it is good to see that raw is on the right path in developing and offering our services and products to people who want to experience Røros and the nature around.. Working on the goal to make people change i am certain that Røros and the raw nature around us is a very good place to do so. Looking at the inernasjonal trends and knowing that authenticity is what people really want the conference was inspiiring and motivating.. 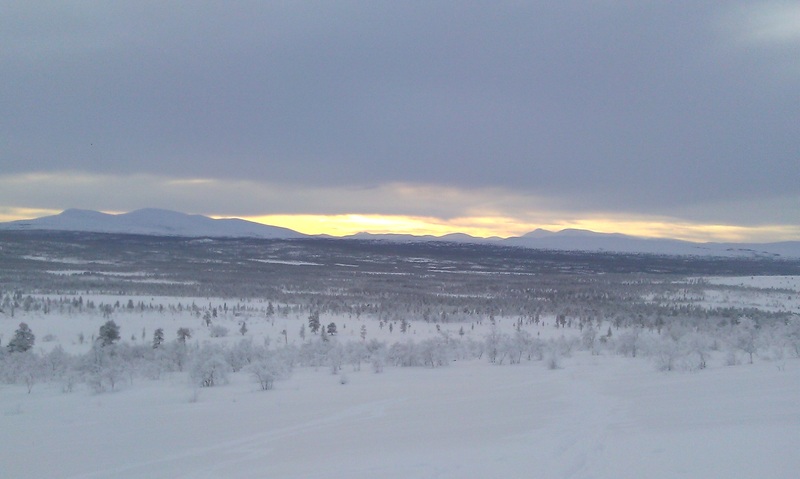 In spring 2012 we ar also going to be the first ecotourism company in the center of Røros.. In collaboration with Ketil Reitan and Alaskan Huskey tours wich also is a certified ecoturism company the both of us is going to do all we can and be well fint to meet the increased populariuty in RØros as a destination. Sustainable tourism is a good thing and im looking forward to put more content to it in Røros and Trøndelag. It’s just under a month til our british guest are coming over, and the conditions in the area around the Femunden nasjonal park is looking amazing. The Snow is like powder and lots of wildlife. Logisticks is settled and for each day that is passing by the sun is getting more and more eager to say hallo. The area is really wild and in addition to other nasjonal parks where you find rangers, places to buy supplies or equipment, this is a remote area where you need to prepared. 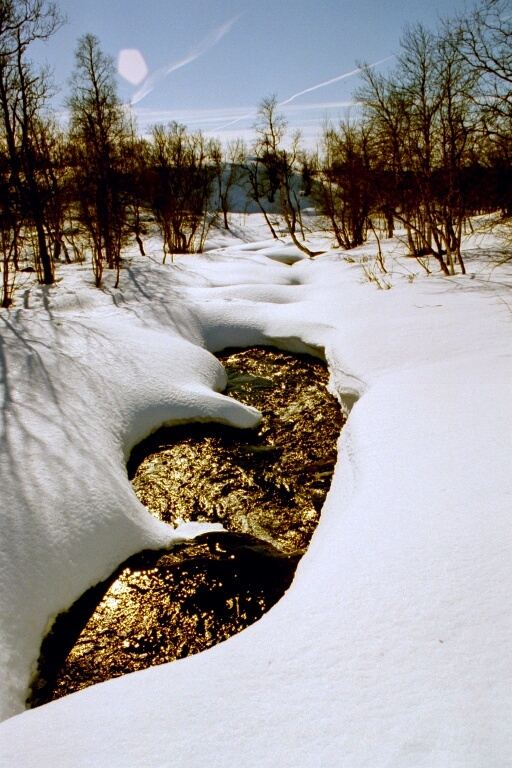 Raw Røros is. 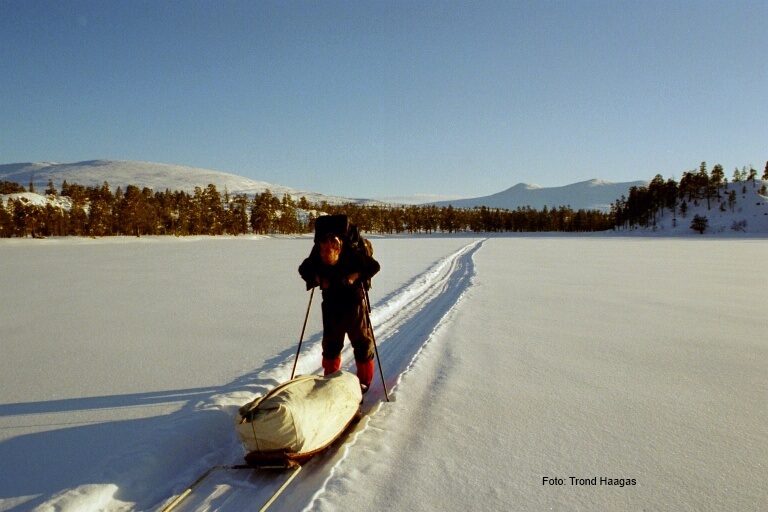 Starting from the beautiful UNESCO World Heritage town of Roros famed for its copper mining, Reindeer and Sami population, we will travel 35 kilometers along a snow track in to the wilderness of the Fedmunden National Park. 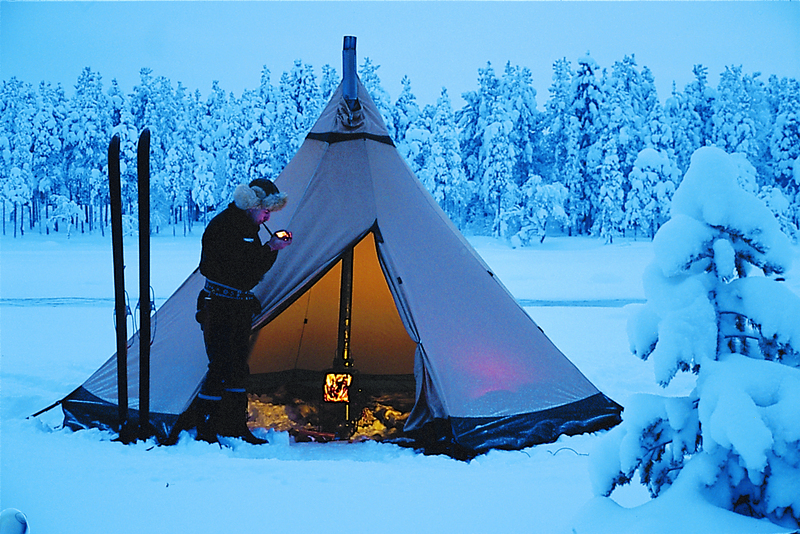 Your first and last night will be spent in accommodation the Røros area and after that home for the week will be a magical Lavvu base camp, sleeping in shared lavvus, floored with reindeer skins and heated by a log burner making for a truly wonderful Norwegian experience. Surrounded by snow, mountains, frozen lakes and forest, we have the perfect beautiful environment for you to learn and develop many new skills and techniques. These will allow you to experience this stunning environment to its fullest. Wilderness living in northern Norway is more than just dealing with the cold, and it can reach – 35°C at night! During the week, you will receive in depth instruction, in the skills, mind set and aptitudes needed to live comfortably in this potentially harsh unforgiving, yet inspiring environment. 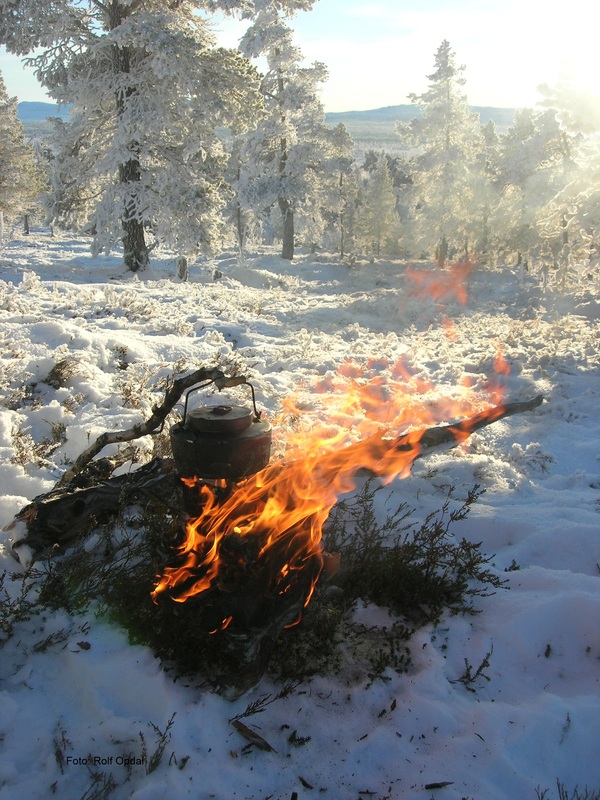 These will include how to dress, campsite procedures for cold weather living, making emergency shelters out of both snow and forest materials, cross country skiing, snow shoeing, trapping & snaring, ice fishing, fire husbandry, whilst all the time developing the thoughtfulness required to live in this unique place. Throughout the week your lead instructor will be Espen Holmgren, an ex officer in the Norwegian Army who taught at the Norwegian Military Arctic Warfare and Survival school. A true expert in his field, Espen delivers his knowledge with a passion and enthusiastic drive, allowing you every opportunity to learn. 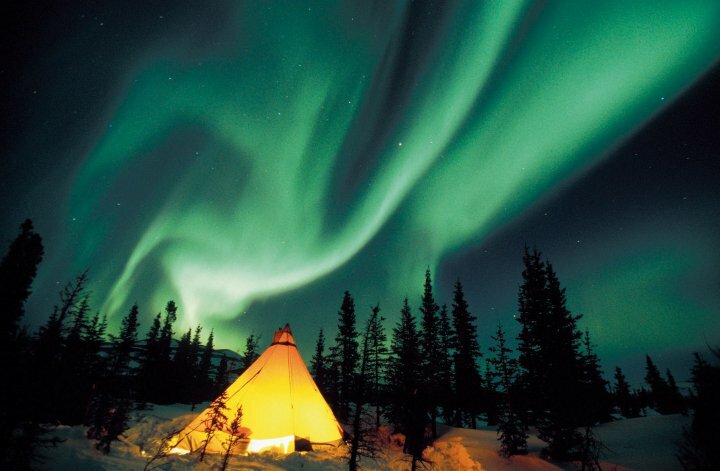 Last but far from least, you will get to experience not only this unique snow clad mountainous environment but also some amazing wildlife such as Reindeer, Fox, Moose and depending upon weather clear viewings of the beautiful Northern Lights.